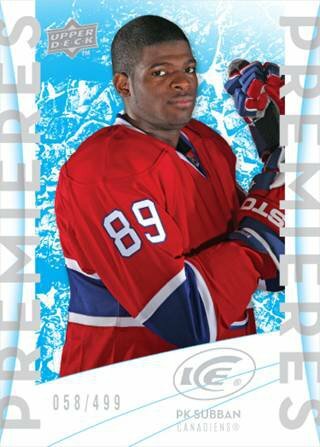 The popular Upper Deck early season hockey card staple returns with more bells and whistles than ever before. Back are the ever popular Triple and Quad Diamond parallels as well as the 90's inspired Hardware Heroes insert set. New to the 2010-11 rendition of Black Diamond is the addition of arguably the hobby's greatest non-autograph rookie card series, the Upper Deck Ice Premiere RC! 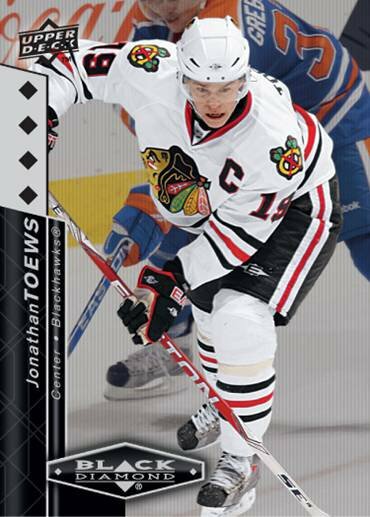 Same 4 levels of numbering as the coveted Ice Rookies have featured! Grab 4 Ice Regular cards too! 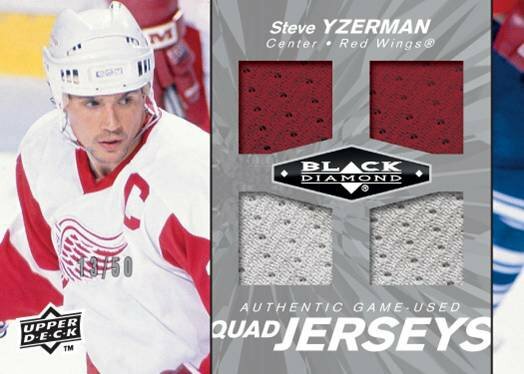 Look for 2 Quad-Swatch Jersey cards per box! Find Ruby, Gold, Onyx & Autographed jersey parallels too! Collect great die-cuts of the True North's best! Grab Hardware Heroes die-cut cards! These gems fall 2 per case and are #'d to just 100! 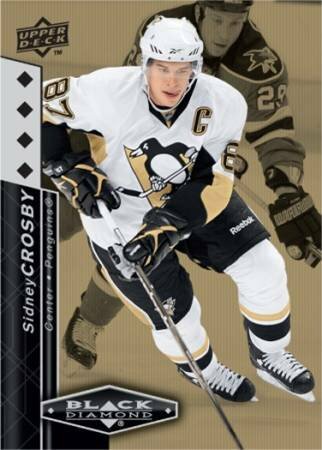 Ruby, Gold & Platinum parallels offer solid hits – all low-#'d! 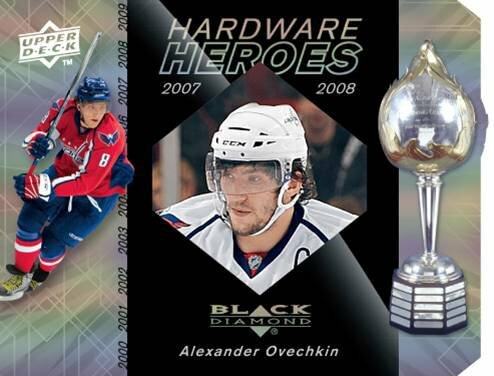 2010-11 Upper Deck Black Diamond Hockey HOBBY Box Ice Premieres Rookie Quad?